We simply offer, experience combined with premium quality implants at affordable and clear prices. Are you hesitant to get dental implants because you are worried about undesirable extra costs or the authenticity of the dentist? We Have Given Thousands People Their Smile and Confidence Back. just feel confidently about everything, with a complete and healthy-looking smile! Dr. Azhar Sheikh is one of the UK’s most experienced dentists when it comes to implant treatments. His unique approach to dental implant treatments takes into account not only your teeth, but your overall well-being as a person. He is well-known for his compassionate and warm nature, which will help you become completely at ease and comfortable before, during, and after your implants placement. Dr Azhar Sheikh has worked and trained alongside some of the world’s foremost cosmetic and dental surgeons including Dr. Larry Rosenthal (cosmetic dentist to the stars in New York, USA), and Professor Hilt Tatum (pioneer in dental implantology). He has a gentle nature that helps patients become fully at ease. Dr. Sheikh makes it a point to explain all the available treatment options clearly. What You Can Expect from Life Dental Implants? A genuinely caring, personalised approach when it comes to your support, treatment, and aftercare. No hard selling. 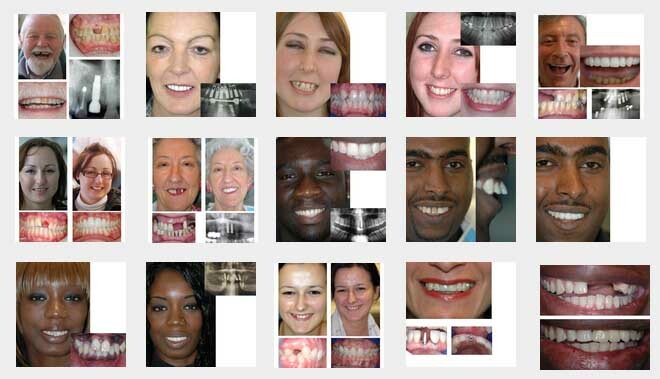 Just good quality service and dental implant information & choices. We take the time to genuinely listen to you. Transparency in our treatments and fees. In-house imaging CT scanner for highly accurate implant placement. Nervous and phobic patient care. Your preferred treatment pace. Thousands of patients’ lives successfully transformed. Latest implant and dental technologies offered anywhere in the UK. 0% finance options on dental implant and cosmetic dentistry treatments. 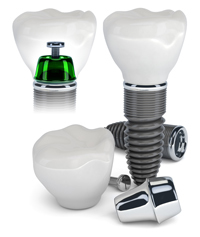 A titanium Dental Implant is commonly a screw that takes the place of a root of a natural tooth. A Dental Crown or bridge is secured over the dental implants to provide your teeth. 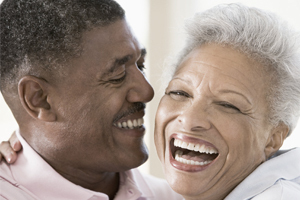 Fix groups of missing teeth with a bridge (Denture alternative). When it comes to explaining all the aspects of your treatment, We will give you relevant, personalized and clear information about your treatment to help you inform you as much as possible about your implants treatmentt. We encourage you to share your concerns, and to ask questions about your treatment, to erase any misgivings that you may have. You now have your beautiful smile courtesy of dental implants – what’s next? Homecare – After the implant treatment, you will be given tips and advice on how to properly brush your teeth, use dental floss, use antiseptic/fluoride mouthwashes, and other dental aids. Personal dental hygiene is an essential part of taking good care of your implants. Regular Checkups – Regular visits to our clinic will allow us to check on the status of your implants and teeth restorations, to ensure that they are functioning properly. These regular visits will also help us in the early detection of problems (if any), so that they can be treated before they get complicated. Dental Health Advice – We will also give you tips on how to make your diet one that will be enjoyable, while being healthy enough to prevent the development of dental problems. It is our promise to give you a detailed explanation of what the fees for your treatment correspond to. We understand how important it is for you to get a clear picture of what the total costs include – and we will present you with a concise fees report. Please check our comprehensive Fees Guide, or call us at 020 3239 3932 to book your Free Initial Consultation. To help you spread the cost of your treatment, we offer 0% Interest Payment Plans spread out over a course of a few months or years. Our guarantee is to give you full transparency with our treatment plans, dental implant options, and fees. At Life Dental Implants, there are no hidden fees. The only surprises you will have are the most enjoyable, life-enriching ones!